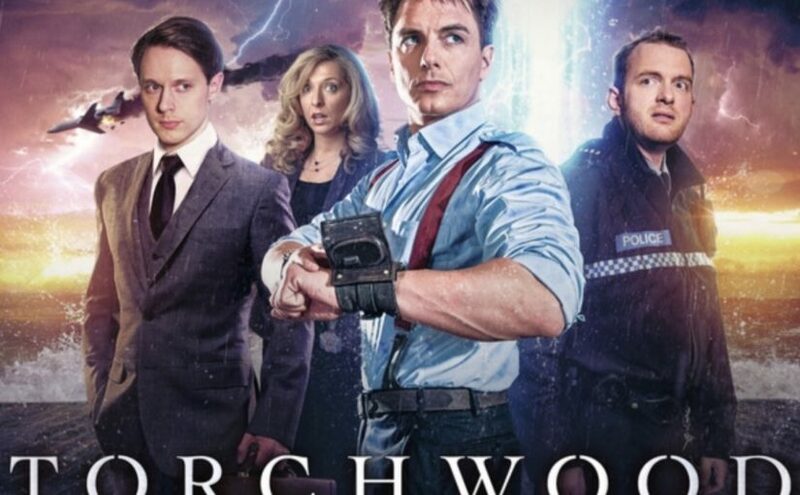 At first it seems like Captain Jack Harkness, leader of the ‘beyond the police’ Torchwood organisation and time-travelling Doctor Who companion turned eco-warrior Jo Jones (née Grant) would be quite a contrast when paired. But in ‘Torchwood: The Green Life’ the two are bound as much by what they share as what divides them. Jo, in this story, is decades older than the girl who once travelled with The Doctor. Everything she learned from her time with UNIT is sewn into this Jo of today and much more besides. This woman is a good match for the immortal Jack, whose dashing young appearance only partially conceals how much of his strength is devoted to enduring a string of painful deaths and centuries. Big Finish audio dramas never shy from the role appearances play in stories when it’s relevant: here we have a pair of lovely fan favourites set amid some gruesome situations. We’re back in Llanfairfach, the Welsh locale of the 1970s Doctor Who serial, The Green Death. The story then – of pollution-bred giant maggots and a technically-adept evil corporation – continues here. As Jack and Jo clamber over old territory we learn new things about them both. Katy Manning has kindly returned to play Jo now and again in the past couple of decades – in television and in audio – and each time we get a hint or two about the character’s life since the 1970s. Here there’s quite a bit of her back story, particularly with regards to Llanfairfach. It’s a treat to hear the world of Jo Jones expanding into a mini-franchise of its own. John Barrowman has been equally generous in his support, for the Torchwood franchise and for the ‘Whoniverse’ in general. He continues his regular contributions to Torchwood on audio here, with a bit of a new challenge: the gentlest members of Jack’s team were never as ‘right on’ as lovely Ms Jones. In Jack’s world, he and his go to some rather harsh extremes, they take their lumps and then find some way to make peace with themselves afterwards. Jo presents him with a world where there are certain lines that are simply not crossed. Where right and wrong don’t often intermingle. Where loyalty is everything. The legacy elements of this story are taken in genuinely new directions. We get some detail about how the scientific advances of the 70’s Wholeweal community have developed in the years since. We learn a bit more about Llanfairfach as a population centre and its lifestyle in 2019. And we’re presented with something new that has gone very, very wrong. It’ll certainly inform a listener’s first real-world glimpse of a self-driving lorry. Torchwood: The Green Life is available now from the recently-redesigned Big Finish website. Hello. Here’s just a quick update, into what’s happening with the podcast. 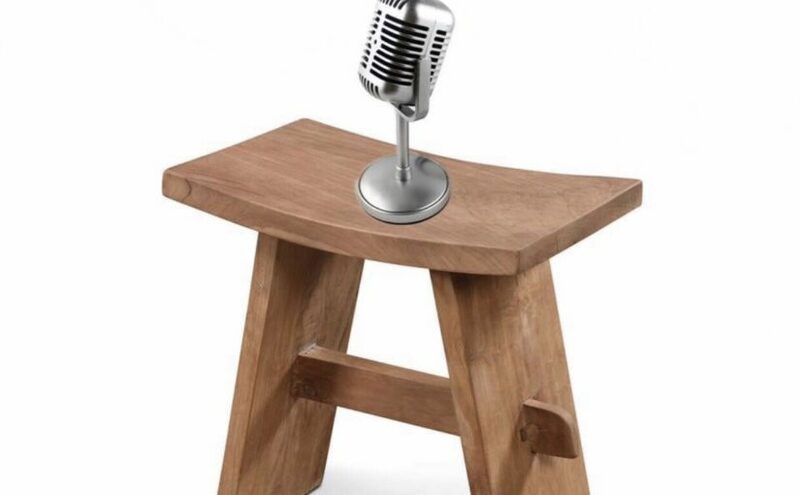 I’ve started a new podcast called ‘One foot on the stool’. Each episode, I’ll be joined with a different guest to discuss issues of mental health. I appreciate that this post may not be to everyone’s taste, but I’m still building the dedicated website. So it’s going here for the time being. On this episode my co-host is Podcaster/author Hayden Gribble. The podcast is available on iTunes, Podbean, Spotify, Tunein and Spreaker. Check out Hayden’s podcasts Diddly Dum and Podcasters Royale. I’ve also launched a Patreon, if you’d care to donate. Phil was kind enough to invite me on his podcast, to present my case that Martha Jones is the most important companion Doctor Who has had. Martha Jones is a fictional character played by Freema Agyeman in the long-running sci-fi series, Doctor Who. The character would also appear in the spin-off show Torchwood, on TV and BBC audio. Aha! Smell my cheese. 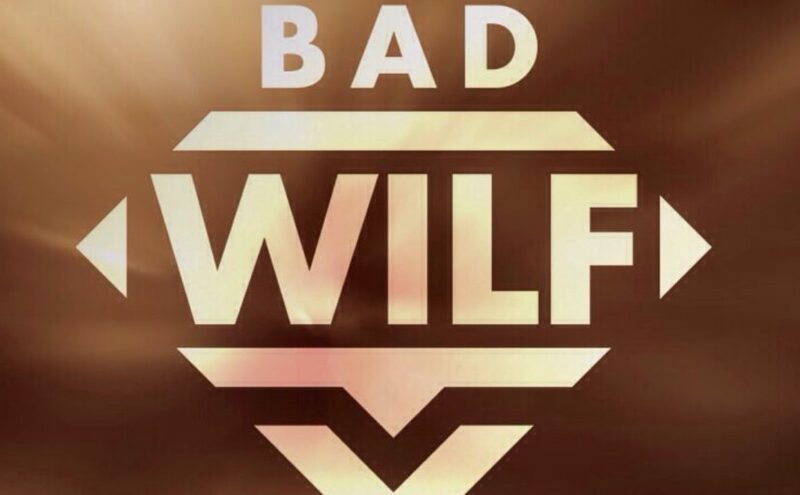 Alan Partridge returns to the BBC after his exile and two decades on digital and satellite radio. He’s temporarily co-hosting a The One Show-esque programme called ‘This time’. The result is, as you might expect, comedy gold. This is easily some of the best Partridge to date. ‘This time’ is the perfect setting for Partridge, much like ‘The Day Today’ and ‘Knowing Me Knowing You’. This Time’s 30-minute episodes plays out in real time. But unlike those shows, we don’t see much of the full broadcast. Instead, we see Alan’s pre-recorded VT’s and off-air conversations between the shows Co-hosts. This time Co-host Jennie Gresham (Susannah Fielding) is a perfect foil for Alan, she’s as ambitious as he is and often steals his jokes. The frustration boils in Alan, but he internalises it as he knows this could be his last chance at mainstream broadcasting. If you’ve never seen Alan Partridge before, then this is a great jumping on point. It has references long-term fans will get, but it isn’t bogged down with 25 years worth of continuity. This is a six episode series, but I wouldn’t be surprised if this is quickly commissioned for a second series. 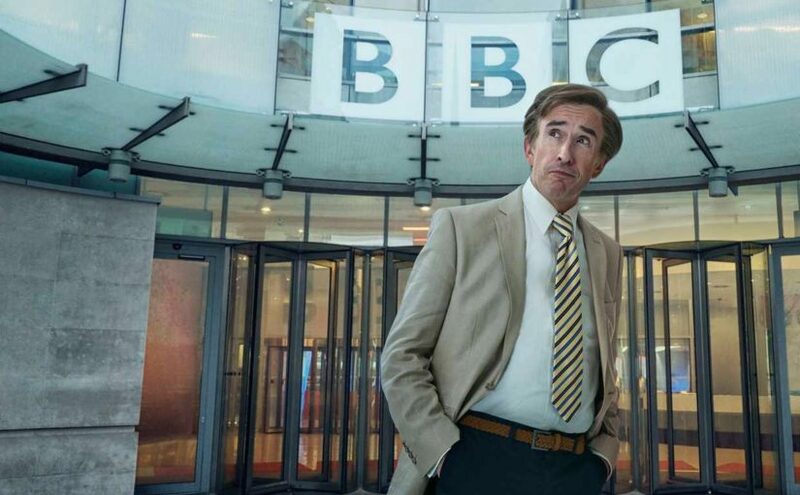 This Time with Alan Partridge begins on Monday 25th February at 9.30pm, BBC ONE. The idea for the film came about, when Dwayne “The Rock” Johnson watched a documentary one sleepless night. That documentary was ‘The Wrestlers: Fighting with My Family’. The next morning he called his good friend, The Office co-creator Stephen Merchant and pitched the idea. Merchant loved it and started writing the script immediately. Paige and her brother Zak (Florence Pugh and Jack Lowden) were born into a wrestling family. They’ve spent their entire lives dreaming about leaving their small town of Norwich and heading to America, to join the WWE. Their parents (Nick Frost and Lena Heady) run a local wrestling club and have raised them to be champions. The pair both get called for WWE try outs, but only Paige makes the grade. She then heads off to Florida for training, whilst Zak is left in Norwich. Although Stephen Merchant has been writing/directing films and TV for nearly 20 years, this is his first time going solo and he shines. His signature razor-sharp dialogue is present throughout. 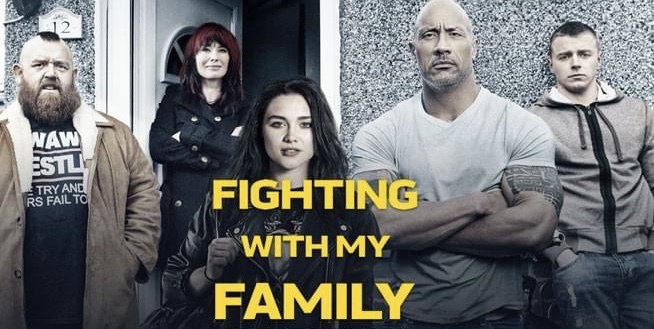 Fighting With My Family is the first great film of 2019, given that it’s Merchant’s baby, I went in expecting a feel-good, character-based comedy. This is much deeper than that. The laughs come thick and fast, but the film isn’t afraid to tone down the comedic elements, when the story calls for it and it. The dialogue and characters always feel authentic and, it never falls foul to any sports biopic tropes. There’s no unnecessary romantic subplot, even the “mean girls” cliché is wonderfully subverted. This is also quite possibly the most realistic sibling relationship ever put on screen. Pugh and Lowden are instantly believable as brother and sister, their equal respect and jealously for each other is perfectly balanced. Merchant has crafted a wonderful film, that excellently reflects the highs and lows that come with chasing your dreams, but it also teaches us that even if you don’t quite achieve what you’ve wanted. It doesn’t mean you’ve failed. This film will appeal to both wrestling fans and those, like me-who’ve never seen a match. Venom is a bold project for Sony, they’re attempting to launch a Spider-Man universe, without Spider-Man. They want this universe to stand alone, but they don’t want to rule out the chance of a future crossover. Whilst it’s never stated this is in the MCU (Marvel cinematic universe) they don’t say anything to contradict that it isn’t. Instead of New York, the action takes place in San Francisco. Tom Hardy plays Eddie Brock, an investigative journalist. Eddie lives with his fiancé Anne (Michelle Williams), a successful lawyer, working for a firm that represents the controversial billionaire Carlton Drake (Riz Ahmed). One night, Eddie makes a bad decision and ends up losing his job, his relationship and his apartment. Cut to six months later. Eddie has given up on himself — but when Dr. Dora Skirth (Jenny Slate), a scientist who works for Drake, tells Eddie that Drake is sacrificing homeless people in mad experiments, Eddie decides to leap back into action to expose him. Whilst exploring the lab, Eddie gets bonded with an alien, that calls itself Venom. All of a sudden we’re in a slapstick/buddy comedy. Invoking the obligatory talking alien mechanical baritone, Venom at first barks out primal commands such as “HUNGRY!” and “FOOD!”, but soon he’s commenting on Eddie’s romantic life and opening up about how he was considered a “loser” on his home planet. The movie is a strange beast, it never truly settles on an identity. It’s unevenly dumb, part superhero movie, part horror/comedy and it doesn’t really do either well. It is funny? Yes, at times. I’ll admit I laughed. But, not always at the times the film wanted me to. According to Hardy his favourite bits of the film, are the 40 minutes that ended up on the cutting room floor. He’s also said in interviews, that he mostly improvised his scenes. Which could explain some of the choppy editing, or inconsistencies in characters motivations. The film wants us to want Eddie and Anne back together, but they’ve put her in a relationship with Dr. Dan, probably the nicest/most understanding man in the universe. 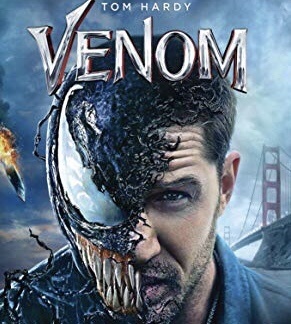 Venom feels like it fell through a time vortex, this is like a pre-MCU superhero movie. Something akin to 2003’s Daredevil. The special effects are underwhelming. The CGI is terrible and the fight scenes are predictable and murky at best. The villains — human and extraterrestrial — are forgettable. And neither the ordinary guy nor his alter ego is particularly compelling to watch. This film cerments Tom Hardy, as the British Nicholas Cage. 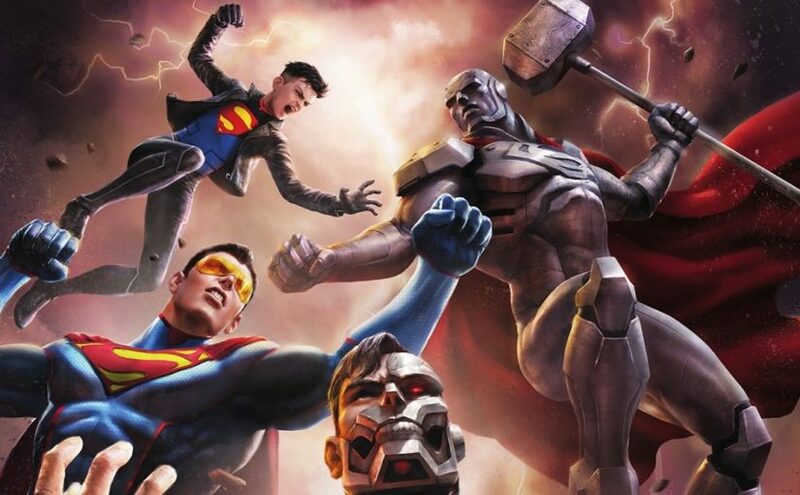 Six months after Superman (Jerry O’Connell) sacrificed himself to defeat Doomsday, the world has been introduced to four new versions of the man of steel; Superboy, Steel, Cyborg-Superman, and the Eradicator. Each one of them is very different in their personalities and crime-fighting style compared to the original Man of Steel; leaving the world questioning which one, if any, is the true Superman. At 87 minutes, this is one of the longer DC Universe Animated films. But the extra length enables it to achieve a number of things, such as continuing threads that were set up in ‘The Death of Superman’. We also get a great amount of character development, not only do we see some really touching moments between the Kents and Lois Lane (Rebecca Romijn). We also see Lois develop a friendship with Wonder Woman (Rosario Dawson). Lex Luthor also plays a very active role in this story-excellently voiced by Rainn Wilson. It also allows for the film to set up the wider DC animated universe. Let’s just say, DC’s animation department has done it again. 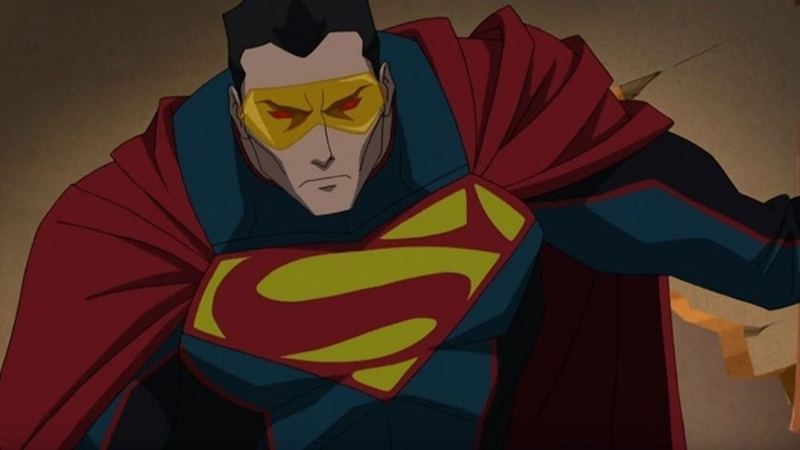 Reign of the Supermen is a triumph. Despite being based on a comic book from 1993, writers Tim Sheridan and Jim Krieg-along with director Sam Liu, manage to keep the film feeling fresh and engaging. They understand just how much the original comics mean to fans and expertly adapt them for the screen. This is the kind of movie I wish DC’s live-action department were making. It’s got a darker/edgy tone, the heroes actions have consequences. But, it doesn’t take itself seriously. There’s a lot of fun to be had here. From the vault-two bonus cartoons. 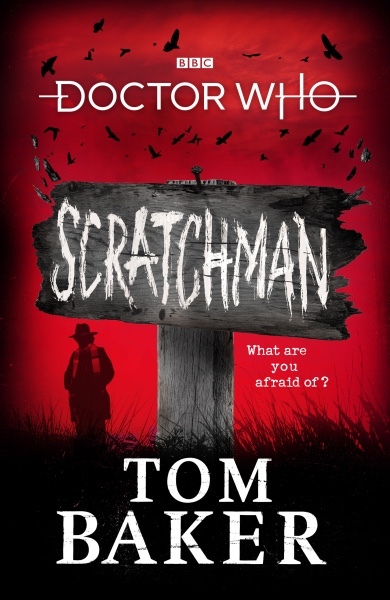 Roughly 40 years ago, one Thomas Stewart Baker sat in the pub with his Doctor Who co-star, Ian Marter and started writing a Doctor Who movie, Doctor Who meets the Scratchman. Ultimately, it never secured the required funding and the un-produced film became the stuff of legend. Tom Baker later had to apologise, after kids started sending their pocket money to the BBC. After he joked that fans could fund it. Over the years, you’d hear a rumour here and there at fan gatherings and meet ups. Some people even claimed they’d read it. It sounded bonkers, the fourth Doctor going up against the devil and at some point, pinball would be involved..
Now, after years of speculation and “what ifs” Tom Baker- with the help of James Goss, has adapted the screenplay into a novel. The Doctor, Harry and Sarah Jane Smith arrive at a remote Scottish island, when their holiday is cut short by the appearance of strange creatures – hideous scarecrows, who are preying on the local population. The islanders are living in fear, and the Doctor vows to save them all. 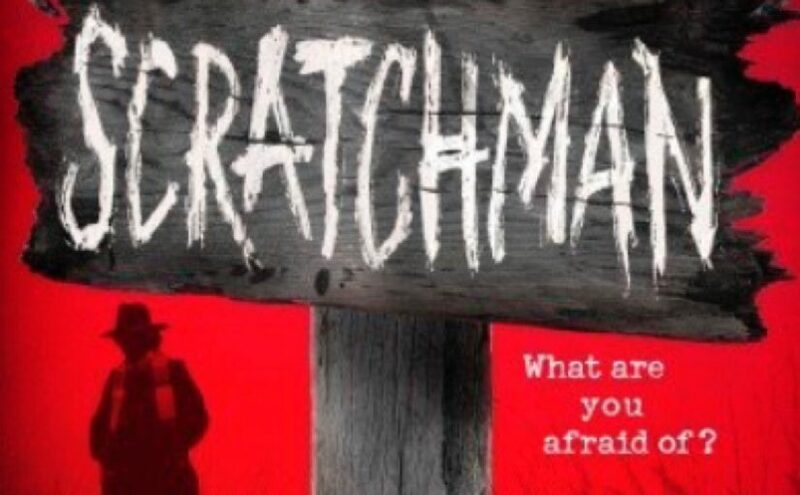 But it doesn’t go to plan – the time travellers have fallen into a trap, and Scratchman is coming for them. Baker and Goss have taken full advantage of the novel medium. There’s a sense of freedom here, that a film probably wouldn’t allow. The story takes its time and feels like the fourth Doctor era, but it’s also clearly influenced by the big sci-fi/horror films from the 70’s. Mostly John Carpenter’s work, but I also got hints of Wicker man and the Omen. This blend makes for an intriguing read. The first half reads very much like a standard Doctor Who story, it’s the second half that gets whacky, outlandish and high-concept. I don’t want to spoil it. It’s a bit far-out and some may feel it makes the book a bit disjointed. But it worked for me. This is the most fun I’ve had with a book for years. Tom Baker claims this will be his last time writing a Doctor Who book, if that’s true then he’s left us with an entertaining read. However, I’m hoping he can be talked into another. 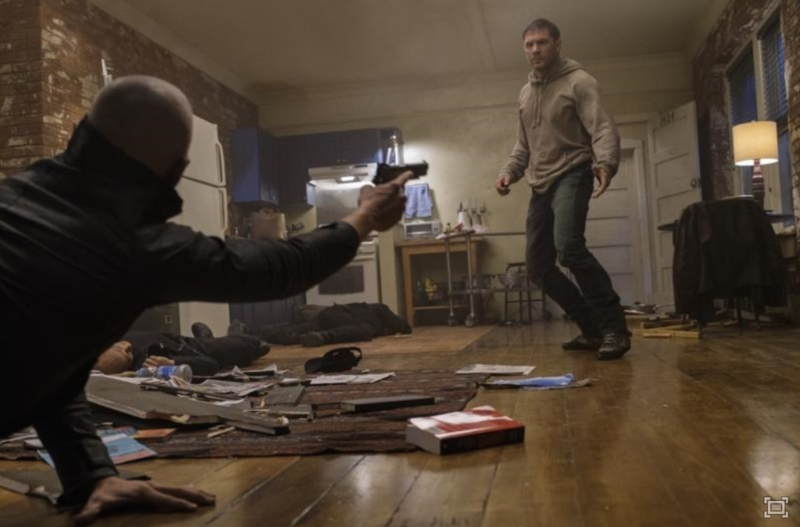 Returning to the John Wick universe are Keanu Reeves (The Matrix Trilogy, Speed) as the eponymous John Wick; Laurence Fishburne (Boyz n the Hood, The Matrix Trilogy); Lance Reddick (White House Down, American Horror Story); Tobias Segal (Sneaky Pete, Mindhunter) and Ian McShane (Deadwood, American Gods). They will be starring alongside new cast members Halle Berry (Monster’s Ball, The X-Men franchise); Mark Dacascos (Brotherhood of the Wolf, Only the Strong); Asia Kate Dillon (Orange Is the New Black, Billions); Jason Mantzoukas (The Dictator, The Lego Batman Movie); and Angelica Huston (The Royal Tenenbaums, The Addams Family). John Wick: Chapter 3 – Parabellum is directed by Chad Stahelski (the John Wick series), written by Derek Kolstad(the John Wick series), and produced by Basil Iwanyk (Sicario, The Expendables) and Erica Lee (Sicario, A Private War). 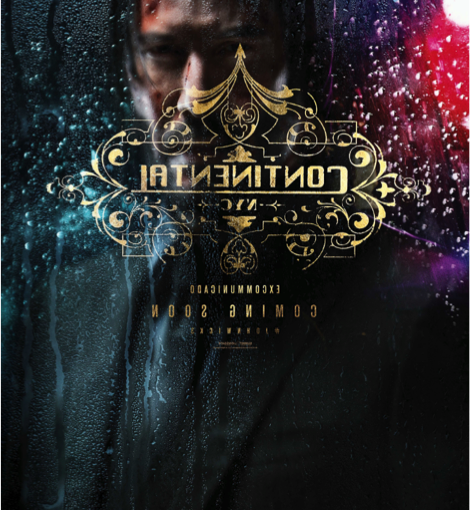 JOHN WICK: CHAPTER 3 – PARABELLUM will be seeing you in cinemas across the UK on 17 May 2019 by Lionsgate UK.